Hear KUAR's interview with Ruth Shepherd, chair-elect of The Rep's board of directors. The Arkansas Repertory Theater at 601 Main Street in Little Rock, which is preparing to reopen after suspending operations earlier this year. 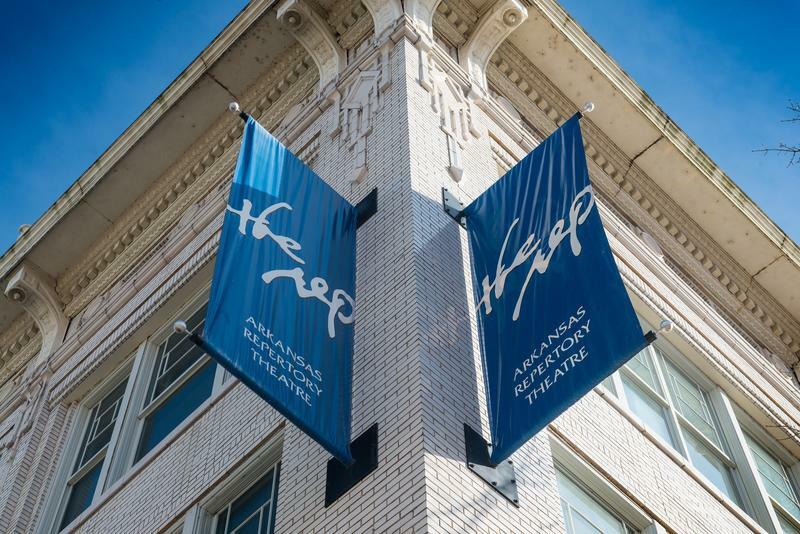 The Arkansas Repertory Theatre in Little Rock, which shut down in April because of financial difficulties, is preparing to reopen with a new season of performances. The turnaround of the professional theater is thanks to more than $500,000 in donations, which was matched by the Windgate Charitable Foundation in Siloam Springs, according to Ruth Shepherd, the chair-elect for The Rep’s board of directors. "So at this moment in time, all of our vendor bills are paid and we’ve got enough money in the bank to pay our staff, our small, small staff that we’ve got through the end of this year. So from here on, obviously we still have a lot of money to raise because we’ve got to pay for next year." Most of the donations were small and came from about a thousand people in 30 states, Shepherd said. The lineup of new shows, which will begin in January, will be announced toward the middle of September. In the meantime, Shepherd says they are hiring or rehiring employees while continuing to collect donations. In April, the theater surprised many in the community by announcing it was suspending operations due to a drop in ticket sales and charitable contributions. The Rep’s website said it had an emergency deficit of $750,000, necessitating the cancelling of the remaining shows of the 2017-2018 season. Shepherd says officials now feel confronting the financial problem and taking the drastic action of suspending operations was the right thing to do. "We kept thinking, oh we’re going to solve this problem, the next show is going to pull us out, but it kept not happening, so it was a tough, tough decision," Shepherd said. "I’ve realized now it was a very brave thing to do for the board." On Wednesday, The Rep announced seven new members to its 29-member board of directors, with Shepherd to serve as its new chair. A Little Rock theater has suspended its productions indefinitely. The Arkansas Repertory Theatre's board of directors announced the decision Tuesday. Financial issues forced the theater to cancel its final production and cease future planning. Board Chairman Brian Bush says a decline in ticket sales and an increase in theater options around the city contributed to the shuttering. But theater officials hope to eventually bring back the theater. Bush says the theater hopes to fundraise $750,000 to ensure financial stability for The Rep when it returns.